Religious edifices and sites are one of the interesting places that many Filipinos are looking forward to visit especially if it is their first time to see a specific place. This could be attributed to upbringing as the nation is predominantly Roman Catholic in terms of religion; thus, the desire to visit churches and other places perceived to have religious importance. Metro Manila is one of the places in the country that many people are visiting each year not only because of its cosmopolitan grandeur but also because the place has hundreds of religious sites to visit despite its modern atmosphere. If you lack time to visit all of them, here are the top ten religious sites in the capital city that you should visit when you want to. Perhaps this is the most popular of all churches in the country aside from the Cebu Cathedral. Quiapo Church is famous for many things like the parade of Black Nazarene every first week of January which attracts millions of devotees and mishaps every year. This church is known as The Minor Basilica of The Black Nazarene and church canon recognize it as Saint John The Baptist Parish. Millions of devotees visit the image of Nuestro Senor Jesus Nazareno (a religious icon carved from a black wood by a Mexican artist.) This image which is reputed to be miraculous was brought to the Philippines during the 17th century. Novenas are held every Friday to honor the Black Nazarene. Its formal name is Minor Basilica of St. Lorenzo Ruiz or Our Lady of the Most Holy Rosary Parish and is situated in the Binondo District of Manila which is just in front of Plaza San Lorenzo Ruiz. 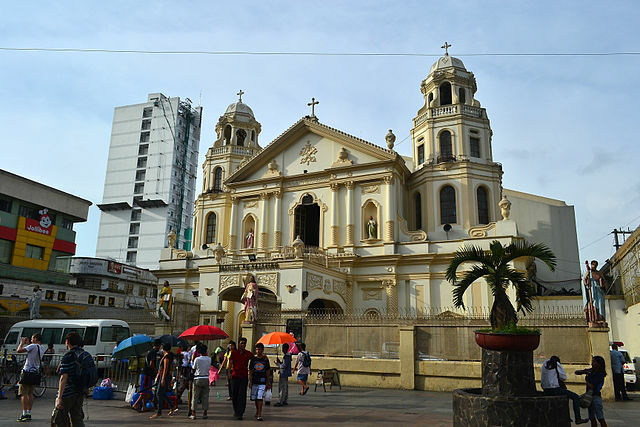 Binondo Church was founded by the Order of the Dominicans in 1596 to cater to Chinese converts. The original church structure was destroyed during a British attack in the Philippines in 1762. You might be interested to attend one of their masses which are delivered in Mandarin and Hokkien. Another amazing fact about the Binondo Church is that the altar was loosely inspired from the St. Peter’s Basilica in the Vatican. Yes, dear readers Makati City is not all skyscrapers, there is also a religious site in the area. 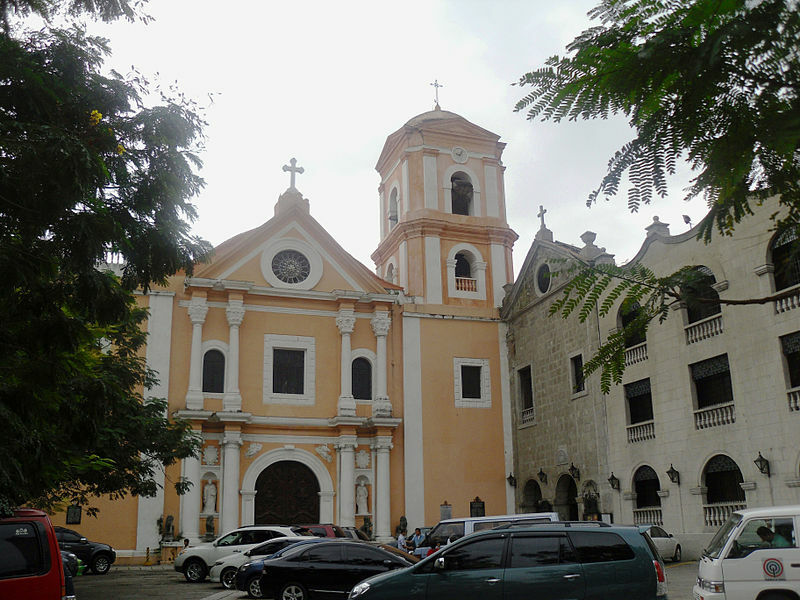 Nuestra Senora de Gracia in Makati is popularly known as the Guadalupe Church. It is probably one of the most beautiful churches in the Philippines as it frequently lands in lists of the most beautiful religious edifices in the archipelago. It was built as a sanctuary and monastery initially in Guadalupe under Fray Simon Dantes. There is a wooden replica of the original statue of Our Lady of Guadalupe which originated from Spain. It was once a top vacation place not only for religious officials but also for individuals occupying the highest positions of office during the Spanish Era. 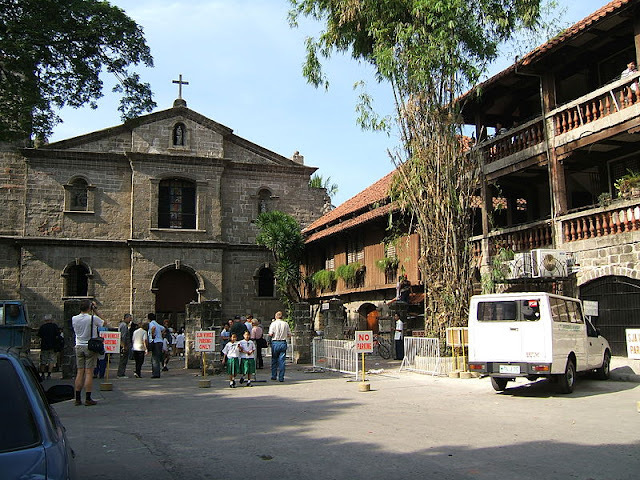 Then during the late 1800, the monastery portion of the church was converted as an “asilo” to accommodate orphans of cholera victims that devastated the city of Manila from 1882-1885. 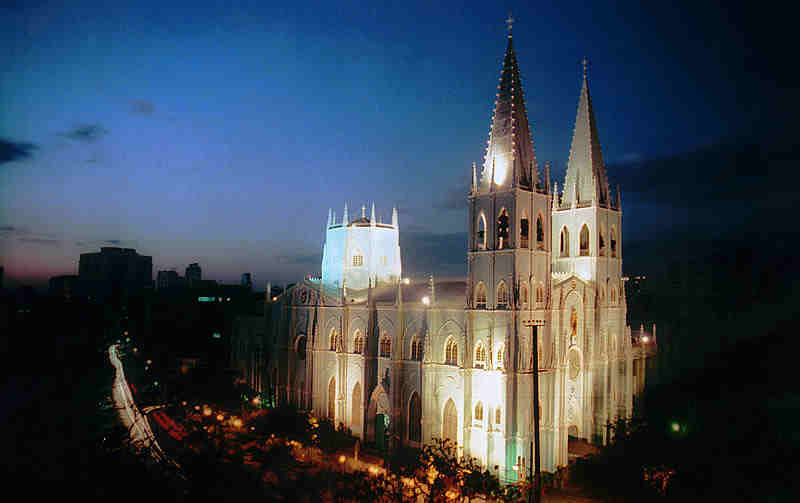 It is also known as Manila Metropolitan Cathedral – Basilica and is dedicated to Our Lady of Immaculate Conception or The Blessed Virgin Mary. The church is situated in Plaza de Roma in Intramuros area and was initially a parish church governed and owned by the Archdiocese of Mexico way back in 1571. The cathedral was blessed with three Papal visits; Pope Paul VI, Pope John Paul II, and Pope Francis. It is known formally as Our Lady of Remedies Parish Church. It is one of the churches in the country with Baroque style architecture and is just located in front of Rajah Sulayman Plaza. According to church architecture experts, Malate Church is just one of the two churches that have a twisted column as a result of a retablo type frontage. It has a statue of Our Lady of Remedies which was originally brought from Spain in 1624. You might be wondering why this museum is included in the list. 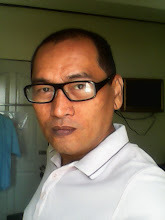 It is also for the reason that Iglesia ni Kristo is a Filipino religion that has Catholic origins. INC or INK was founded in 1914 by Bro. Felix Manalo and its first temple was constructed in Punta, Sta. Ana. As church goers grew in multitudes, it was decided during the early 80’s that worship or mass services be transferred to a bigger church and the original structure in Punta was converted as a museum for Iglesia ni Kristo. You have to set up an appointment if you want to visit this museum. 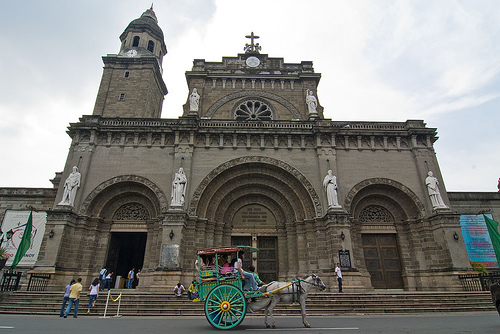 It is a church located inside the walls of Intramuros and is under the governance of The Order of St. Augustine. It is one of the four Philippine churches that was built during Spanish times that has been declared as UNESCO World Heritage Site under the category of Baroque Churches in the Philippines. It was also declared in 1976 as a National Historical Landmark. It also has a museum that houses religious artifacts and paintings. Many of you might be familiar with it if you associate it with bamboo organ. Yes, this is the church which houses the world famous bamboo organ which is one of kind in this world. The church was founded in November 5, 1795 and was initially constructed using volcanic stones. It underwent several restorations since it was built as it was damaged by nature several times. The bamboo organ was also rehabilitated and was returned from Germany in 1975. To many Catholic devotees, it is known as the Redemptorist Church but its formal name is the National Shrine of Our Mother of Perpetual Help. This is a top Catholic shrine that is located along Roxas Boulevard in Baclaran, Paranaque area; thus, the name. It is one of the largest churches in the country. Every Wednesday, thousands of devotee flock to this church to pay respect to their devotion with Our Mother of Perpetual Help. It bears the formal name of Basilica Menor de San Sebastian and is famous for its architectural design. It is recognized that San Sebastian Church is the only temple that is constructed with one hundred percent steel and the only prefabricated steel church in the entire planet. It made the list in Tentative List designation for possible slot in the World Heritage Site List and was proclaimed as a national landmark in 1973. Visiting these churches will not take a huge amount of your time. As you can see, these are located near each other. With the right mapping and coordination, you can create a systematic itinerary of your visit to these ten churches. One thing to remember when you visit the church individually is to dress properly and modestly. In addition, you should also behave and respect whatever protocol and decorum the church implements.